Windows 7 SP1 Ultimate X64 MULTi-19 DEC 2017 ~ Apps2Portable | Free Portable Apps for PC ! 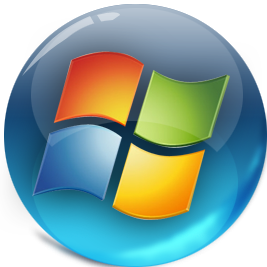 Windows 7 Ultimate is ultra edition of the Windows 7 operating system as it is the only edition of Windows 7 that is feature complete. All other editions with the exception of Windows 7 Enterprise which is Windows 7 Ultimate branded differently lack features that are included in Windows 7 Ultimate. It combines remarkable ease-of-use with the entertainment features of Home Premium and the business capabilities of Professional, including the ability to run many Windows XP productivity programs in Windows XP Mode. For added security, you can encrypt your data with BitLocker and BitLocker To Go. And for extra flexibility, you can work in any of 35 languages. Get it all with Windows 7 Ultimate. -Simplify your PC with new navigation features like Shake, Jump Lists, and Snap. -Personalize your PC by customizing themes, colors, sounds, and more. -Easy to network (with or without a server). -Back up your complete system over a network. -Help protect data on your PC or portable storage device against loss or theft with BitLocker. -Designed to make your PC sleep and resume quicker. -Takes full advantage of 64-bit PC hardware and memory. -Windows XP Mode gives you the business flexibility you need. -Switch between any of 35 languages. -Watch shows for free where and when you want with Internet TV on Windows Media Center. -Send media from your PC to devices on your home network. -Supports more media formats, including integrated video and Dolby audio codecs. * This release contains one ISO [SOURCE ISO] and 18 executable svf-files. * Activator: Potential False Positive Virus Alarm!